If you study on it, you may realize that atheists, cultists, anti-creationists, and others have similar thinking patterns. While much of Western society tends to have an adoration for logic, numbers, science, scientists, facts, and so forth, people are prone to "thinking" with their emotions. That is, some owlhoot comes along and sounds like he knows what he's saying, possibly using expensive words, but there is still some kind of appeal to emotions. Then people end up being deceived. Other biblical creationists and I keep trying to encourage people to learn how to think rationally so they can spot logical fallacies and manipulation. This can help keep deception to a minimum. Ever notice that some people can be excellent thinkers, but when it comes to certain religious matters (and especially evolutionism), they can't think straight? Before I continue, I want to point out that there are different kinds of common ancestry evolutionists. Some only know what they've been taught, oblivious to the biblical creation view of origins and models postulated by creation-believing scientists. Despite the claim of many militant atheists, one does not need to be an atheist to be a scientist. That's why I use the expression anti-creationists so often, because they tend to be ideologues with an agenda, and many are atheists. Still, some evolutionists are willing to be unscientific and deceptive in their work as well, but we hope to reach those who are intellectually honest and willing to think for themselves instead of simply believing what they've been told to think. Unfortunately, anti-creationists and "regular" evolutionists tend to behave like cultists. They want to protect their beliefs from scrutiny, reassure themselves of the "truth" they endorse, and react against contrary evidence. 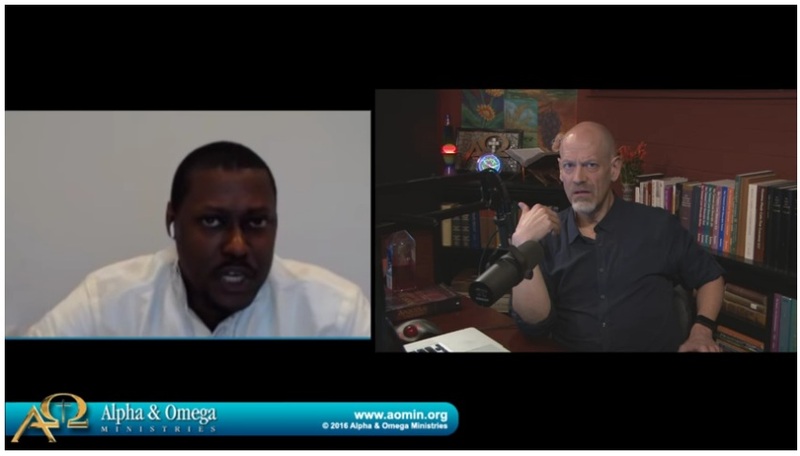 In a recent episode of "The Dividing Line", Rawchaa Shayar of GoCC (Gathering of Christ Church) wanted to slap leather with Dr. James White regarding Hebrew Israelism. (He is billed as "Elder", but I will not call a cultist "Elder", nor will I call a priest "Father". It's just how I'm wired.) The term "Hebrew Israelism" is a bit vague and seems to be more commonly called the Hebrew Roots Movement. These groups are disparate, and many dislike each other. Shayar promotes the Black Israelite version. Dr. White was unfamiliar with the various forms of Hebrew Roots Movements, but stayed with the facts and made an excellent showing for himself. By the way, I often warn people about a Page on Facebook called "Evolution is a Religion of Origins", which posts legitimate creationist material (even though they detest the theology of the ministries), then presenting their own Sacred Name cult heresies. Like other related cults, Sacred Name groups are not unified, and often disagree with each other. My own experiences with those associated with the Hebrew Roots/Sacred Name groups are verified by others: they are often arrogant and obstreperous. 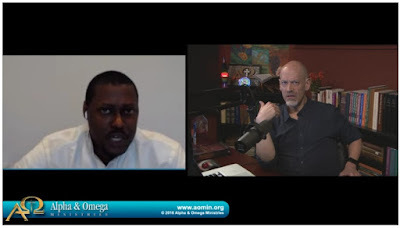 Acted like a victim as well as a hero, trying to save the world from "slick" Dr. White's deceptive philosophizing; "I'm not going to play your game" when asked fair questions, and saying, "I'm trying to help you"
Conflating word meanings, more notably in the word "worship", like how evolutionists treat "simple change or variation" as meaning "microbes-to-microbiologist evolution"
Rich Pierce informed James White that one noteworthy time when Shayar backtracked and denied making a statement was because he had been receiving text messages on Skype to help him out! Shayar also made frequent verbalized pauses to buy time, along the lines of, "Here is how I'll answer that question". In a debate that happened later, Shayar was not on camera. Although unrelated to the evolution aspects, I wanted to add that cultists often get on the prod about Christmas, along with Pharisaical Christians. They say things like, "We weren't commanded to celebrate Christmas or other days", but notice the "Feast of Dedication" was not one that was commanded, but Jesus participated in it, see John 10:22-23. Just a little nugget I thought I'd give you there. The main point of this article is that Dr. White's discussion with Rawchaa Shayar gives many interesting parallels in the irrational thinking that cultists, atheists, and anti-creationists have in common. I strongly recommend that you take the time to watch or listen to this episode of the Dividing Line, and keep what you've read here in mind. After I had written this article, two more developments occurred. First, some additional information on the GoCC group (recorded live, with calls). Then, Dr. White had a structured debate by phone with Rawchaa Shayar that was very interesting. Watch for the exceptionally racist eisegesis from Shayar.